Operators understand customer service well. But customer experience is a different ballgame. It requires a central strategy that puts the customer at the center of the organization's processes. It is difficult for an operator whose business models are designed to operate as silos -- sometimes departments competing with each other on sales and revenues. It is why the industry has a net promoter score (NPS) of minus 30. Circles.Life has a 50-plus NPS. So, what makes this new telco player in Singapore different? We asked John Epok Pascual, the company’s head of Customer Happiness Operations. How is Circles.Life view of CX different? Pascual: Circles.Life was born out of the frustration of three co-founders with the status quo of existing telcos back in 2016. The lack of customer support was one main factor that Circles.Life wanted to change. Telcos have always had a negative connotation to their names. So, when we launched our brand, we wanted customer service as one of the main differentiators. We even refer to our customer service team as Customer Happiness Experts to always remind ourselves of our guiding mission of giving power back to the customer and taking pride in delivering happiness. In business, another brand can always come up with products that may or may not be better than your own. How do you distinguish yourself beyond your product? It is where customer experience comes in. Our overall strategy is to provide a wide range of effective channels where our customers can reach us. Simply put: support whenever, and wherever. Once a customer voices a comment, a ticket is raised and tracked. Our customers can use their preferred mode -- email, chat (in-app and web) and even social media -- to share their comment and an Expert will address the issue. Once the problem has been resolved, the extract of the conversation will be sent to the user for transparency. Who owns the customer journey at Circles.Life? Pascual: I think that everyone owns the customer journey; it is not solely owned by a single group but rather a collaborative effort among various stakeholders from UX design to customer support. A customer’s experience should reflect the values of the company. One way of getting stakeholders committed to this journey is to lay out their goals towards what they want to achieve with their customers. Customer satisfaction is only one measure. How do you measure other parts of the customer journey? Pascual: We use KPIs as benchmarks so that we can assess data and use it to enhance customer satisfaction. For example, we obtain data throughout the customer journey from the time customers enter our site to when they become customers. If there is a particular step that sees potential customers leaving the site, we assess the customer journey again. In the end, we are creating a better process that persuades the users to stay on the site. Can you describe your feedback processes? Pascual: We have a group called Inner Circle where loyal Circles.Life users communicate via a Facebook Group and keep in touch with the community team. The team serves as a hub to communicate new promotions, discounts and discuss new product launches. Here, Inner Circle members can share their opinions or provide feedback on current products. This process of getting feedback extends to product development. Before the launch of a new plan or feature on the app, our product team organizes focus groups to get feedback on the design, features and value to create a product that our customers will enjoy and appreciate. Our Service Recovery Experts within the Customer Happiness Team also play an essential role in our feedback process. They will reach out to each dissatisfied users to understand their pain points which are later used to improve the products, processes, and services. Finally, we make it a point to require everyone in the company to try the products and processes. How do you motivate employees to be more responsive to customer needs? Pascual: Regardless of industry, I always believe that happy employees equate to happy customers. We also want our Happiness Expert team to think like a customer, so they can find out how to add value to the customers' lives. I think that the perception of telcos has to change. When we talk to our customers, we need to put ourselves in their shoes. Within the team, we encourage open communication and sharing sessions so that our team can share their experience and become a support system for one another. Pascual: We want to continue to create digital services with a human touch. So, we are exploring more ways to personalize the user experience through different channels and leverage digitization in our journey. We then want to replicate it to the other markets that we will be expanding into this year. 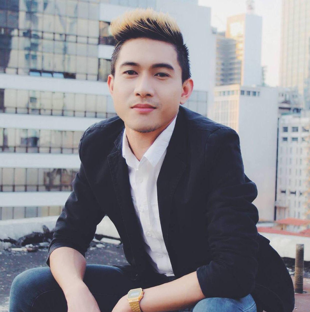 John Epok Pascual, Circle.Life’s head of Customer Happiness Operations is helping to reinvent customer service in the telco industry.